← Who Is Andy Tiet? As MMA fighter Andy T prepares for his upcoming fight, we are at the stage where we are adding bodyweight circuits along with is Strength and Power workout at this phase. He is 6 weeks out from his fight, so Strength is still the focus, but bodyweight circuits are key. 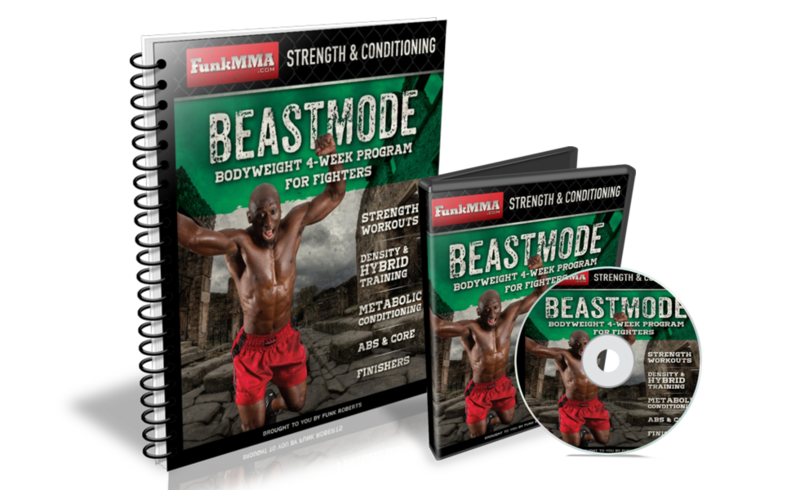 You can use bodyweight training anywhere, anytime and is one of the most effective ways for fighters to get in shape for regular training sessions and fights. No fancy gym needed here…just straight up hard work and high intensity. Try this home bodyweight metabolic workout today! Perform as many reps as possible of each exercise for 45 seconds of work followed by 15 seconds rest. Rest for 2 minutes and repeat for 3 full rounds.